When Shakespeare penned down this line little did he know that thousands of miles away from where he was residing there existed a city, now known as Kolkata that would prove him wrong – and for good reason too. Kolkata, a city sanctified as the Capital of British India has everything to do with NAMES; its every street has a name – Theatre Road, Kyd Street, Shakespeare Sarani and more! But, have you ever wondered from where do they get their names or who had named them? To answer these questions, we’ve to dive a little into the colonial past of the city and pick out interesting anecdotes on the streets of Kolkata. So, are you ready? 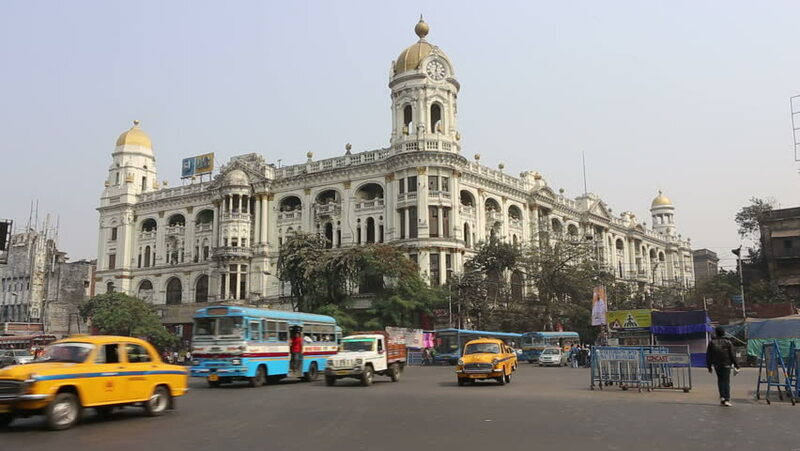 A landmark of fame and fortune, Chowringhee Road is one of Kolkata’s glorious north-south corridors. It still radiates an aura of imperial heritage, magnificence and prestige, but what is more interesting is the etymology of its name – some suggest that the name is derived from a village called Cherangi, while others believe that the name is inspired by the legend of Chourangi Giri, a yogi who founded the actual Kalighat Temple. That time, Chowringhee Road was also known as the ‘Road to Kalighat’. On your way towards Chowringhee, you will cross the famed Theatre Road, now known as Shakespeare Sarani. The road got its name from the “Theatre of Calcutta” – it was built in 1813 but was burned down in 1839. Since then, it was never reconstructed again. The name Creek Row traces its roots to a creek or khal (in Bengali) that actually meandered through areas – Sealdah, Beliaghata and Dharmatala Street before merging into the waters of Ganges at Prinsep Ghat. Many theories suggest that the creek secured the perimeter for the village of Kalikata and served as a popular river route in the 17th century. Interestingly, the name Calcutta, which can be pronounced as Khal-Kata owes its origins to this khal and kata, meaning something has been cut. Nestled in one of the oldest neighborhoods of North Kolkata, Ahiritola Street dates back to as early as 1784. The area was largely populated by Bihari cowherds and milkmen, collectively called the ahirs – thus the name. Previously known as Dalhousie Street, Albert Road gets its name from the very companion of Queen Victoria, Prince Albert. The little street was renamed in honor of Prince Albert of Saxe-Coburg and Gotha. Today, you will find a massive ISKCON Temple in that area. Exploring Kolkata is fun and fascinating. Every nook and cranny of the city is laden with heritage, culture and remnants of the past. You never know what you may find – so if you are keen to discover this magical city, don’t delay further. Jot down a quick itinerary and make the reservations today. With services such as online hotel booking in Kolkata, you will be able to access a list of 3 stars hotels instantly. Single out a hotel, book it online and enjoy a happy stay!